Staghound T17E1 is a second-war heavy armored vehicle manufactured by Chevrolet. The version of the machine used by the Polish Armed Forces has just hit the Battlefield V game. When in Europe Hitler's army stood at the gates of Moscow, one of the most important battles of the Second World War took place on the African continent. The victory of the Allies in Libya, seen as the removal of the Dunker stigma, was achieved, among others thanks to Polish soldiers from the Independent Carpathian Rifle Brigade. 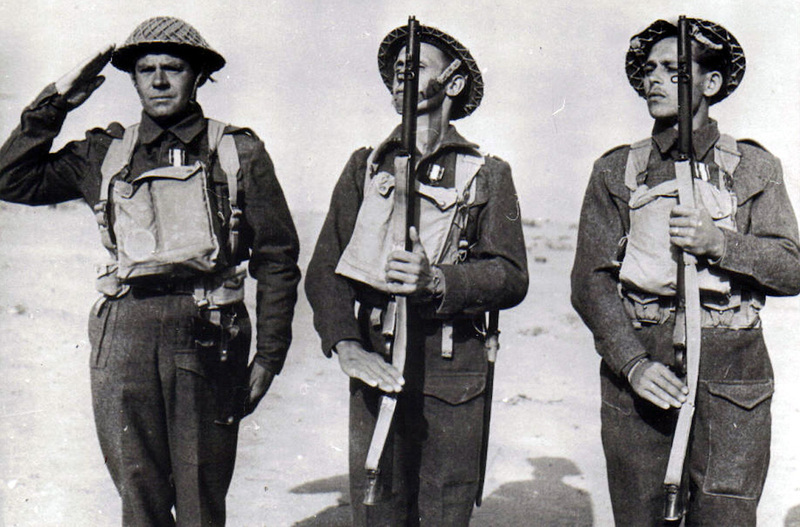 Poles in the number of almost 5,000 defended the fortress of Tobruk. Our compatriots found themselves in Libya as a substitute for the tired Australian troops who sacrificed the strategic gates to Egypt against Italian and German divisions. Volunteer Polish soldiers from Romania and Hungary became part of the French army, and after its capitulation became part of the British army. The Allied command did not intend to save Poles. The Independent Carpathian Rifle Brigade was tasked with defending the longest and most difficult part of the front - the so-called breach . The central point of the area for which the Strzelce Karpacki was responsible were the Ras el Madauar hills captured by the Germans. Hence, the Nazis had a direct view of the fortress of Tobruk, the sea and the port. Poles were stationed at a distance of 200 to 800 meters to hostile forces. Such conditions had to shape characters. The Independent Carpathian Rifle Brigade enjoyed such respect that its commanders included Czechoslovak, Australian and even British troops. 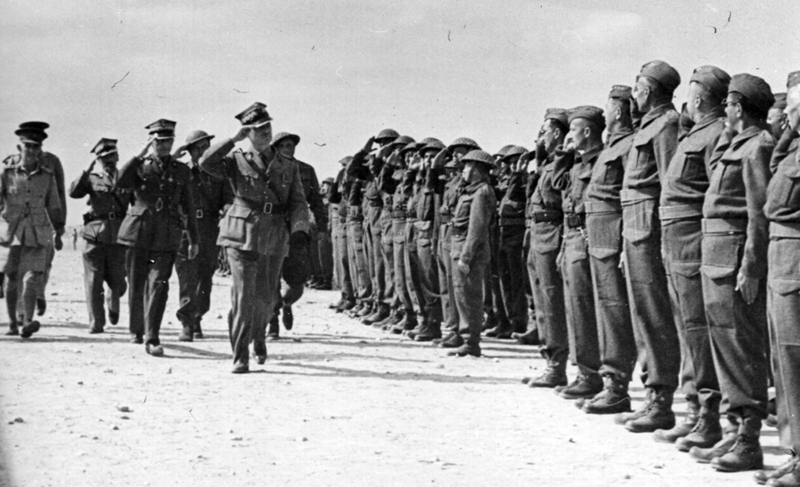 Polish soldiers managed to capture Italian prisoners and it was thanks to this that the Allied forces learned about the planned general assault on Tobruk. Information obtained by our countrymen went directly to the British command in Egypt. All this is just the beginning of our glorious deeds in Libya. The Poles went to Tobruk on record. Carpathian riflemen turned into the most difficult section of the Australian front. It was up to them to have a temporary record of a maintained position of four weeks. When the British commander asked General Kopański how much the Poles would withstand a murderous breach , the general announced that a week longer than the Australians. Hardly anyone then gave faith to the promises of the Pole. Then, hardly anyone was able to believe that instead of five weeks, the Poles kept the front line for ten weeks. All this in the conditions of constant daytime bombings and uninterrupted nocturnal outflows of the enemy, as well as continuous fire from machine guns and mortars. Hats off, gentlemen. Hats off. 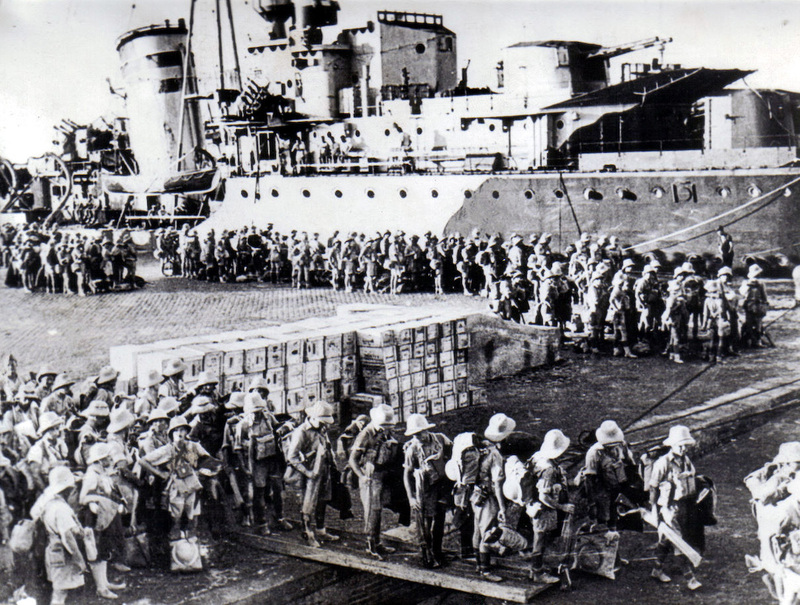 The British offensive managed to break through with help for Tobruk only one month after the planned date. Despite this, the defense of the fortress did not fall. Even on the most difficult Polish section of the front. When the meals came, the Karpacki Riflemen immediately went on the offensive. Poles have won, among others the previously mentioned hill Medauar, from which the Germans coordinated the attack on the fortress and watched the movements of the Allied fleet. Axis Commander Erwin Rommel ordered the Afrika Corps to break the siege. Allied troops continued their advance. The Polish forces first eradicated the Germans from El Adena, and on December 17, 1941, they fought a serious battle for Gazala. At that time, the Karpacki Rifles captured over 1,500 German and Italian soldiers. Many historians consider this to be the first Polish victory for the Polish Armed Forces. Fighting in Tobruk, Poles used Staghound T17E1 armored vehicles. Armored vehicles were initially to be used by soldiers of the American army. The US Army has announced the demand for medium and heavy armored vehicles. Ford and Chevrolet prepared their own machine prototypes, among which the Department of Weapons chose the faster, 4-wheel Chevrolet version. The American army placed an order for several thousand copies, but ultimately chose a lighter Ford M8 Greyhound vehicle. "Unwanted" Staghound T17E1 went to the branches of the gendarmerie and British forces as part of the lend-lease program. The British gave their soldiers and colonial forces over 3,000 armored vehicles Staghound T17E1. After the French surrender, the Independent Carpathian Rifle Brigade became part of the British army, which is why the Poles also received their "Hounds". Thanks to them the brigade became motorized and could take part in serious offensive and flanking operations. 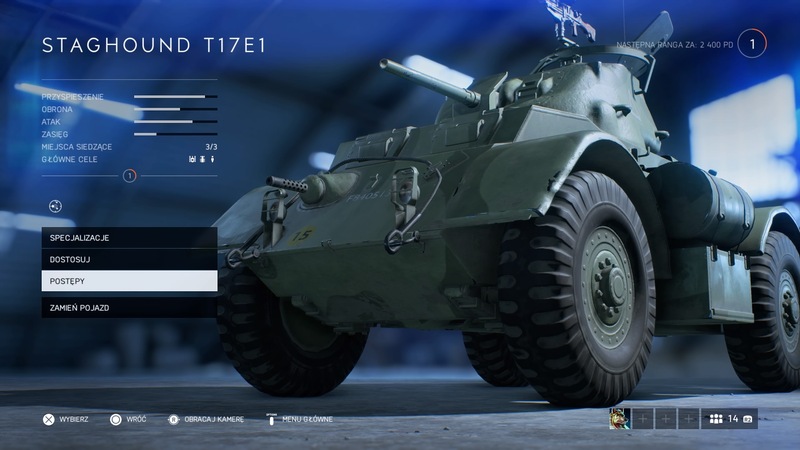 Now Staghound T17E1 used by Polish Armed Forces appeared in Battlefield V.
Much more interesting to me, however, is a new map for the online struggle with the Panzerstorm title. I played a few clashes on it and the first thing that comes to my mind is the comparison with the Gulmud Railway location for Battlefield 4. I'm also glad that the game finally got Tides of War, a series of challenges that unlock completely new weapons and cosmetic items. Players who have already earned the 50th level of the profile again have something to do. Being at the cosmetics shop, the update introduces skins for vehicles. However, it will be appropriate to determine the variants of camouflage . 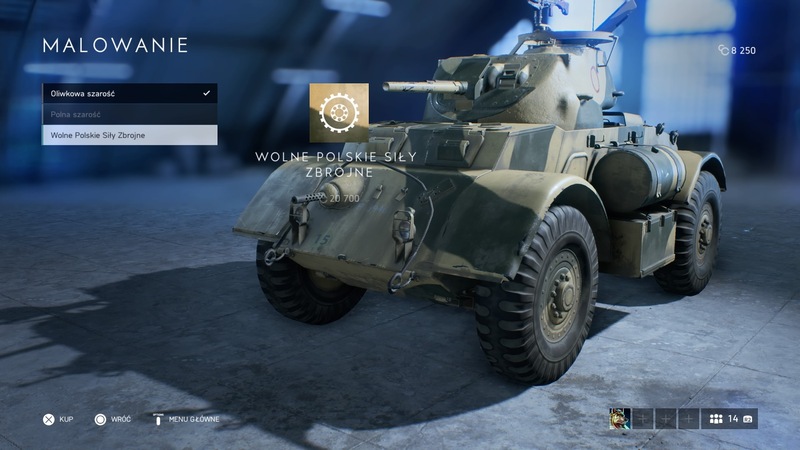 It was while browsing camouflages for unlocked vehicles that I noticed a Polish accent in BFV. Checking the appearance of skins for Staghound T17E1 I saw the one called "Free Polish Armed Forces". It is in this way that DICE has decided to honor the brave Poles, and I will like this idea very much. Such a small element, and enjoys. The Free Polish Armed Forces skin will be an obvious purchase for me. Unfortunately, I must first collect over 20,000 virtual currency points. I am only halfway along this road, also my personal Polish Hound has to wait a little longer.